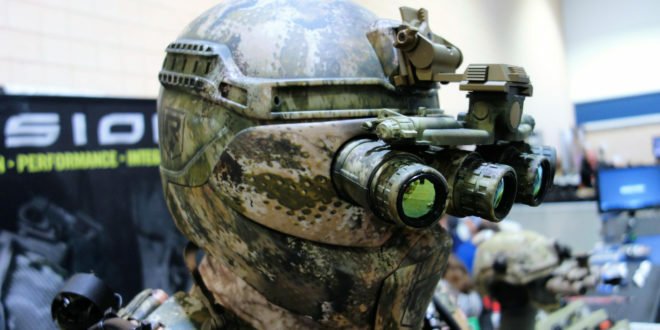 Super-Human Future Super Soldiers Scare Vlademir Putin, So Maybe They Should Scare US, Too | DefenseReview.com (DR): An online tactical technology and military defense technology magazine with particular focus on the latest and greatest tactical firearms news (tactical gun news), tactical gear news and tactical shooting news. Very few things seem to spook Russian President Vladimir Putin, so when something does, and it involves military technology, DefenseReview (DR) pays attention. On October 23, 2017, The Sun published a piece on Putin’s warning about “future sci-fi super-human soldiers more ‘destructive than nuclear bombs’ who feel no fear or pain“, and it reminded us of our own concern about future Terminator-style killer military robots. While it’s nice to know something can actually scare Putin, his fear, if real, should give us at least a modicum of pause. Specifically, Putin discussed “mass-killing”-capable super-soldier genetic engineering, where human beings are essentially custom-designed in a lab with a set of pre-determined characteristics/character traits, with fearlessness and painlessness being among them. Of course, enhanced intelligence, strength, speed and stamina also seem likely goals–and they may just be achievable. 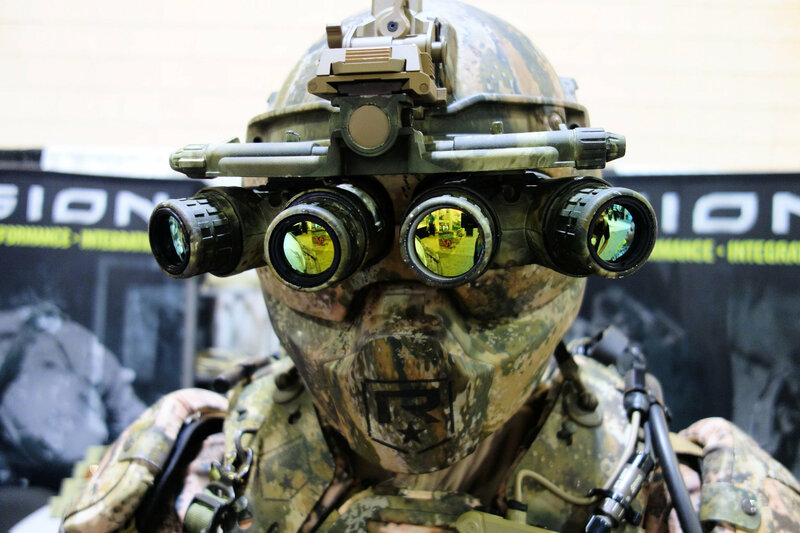 But, it gets even scarier, because these future super soldiers can potentially be “outfitted intelligence-boosting brain implants” and armored TALOS-type exoskeleton soldier suits for even greater speed, strength, stamina, lethality and survivability. Anyway, the upshot is that Putin thinks these hyper-lethal super soldiers of the future could end up being potentially more dangerous than nuclear weapons, presumably if they’re (super soldiers) are deployed in large numbers. For example, what happens if they go rogue, and the national command authority loses positive control over them? The flipside of this, of course, is that human super soldiers could end up being some of our best defense against mass out-of-control military robots, a la Terminator, which Putin apparently fears, as well. 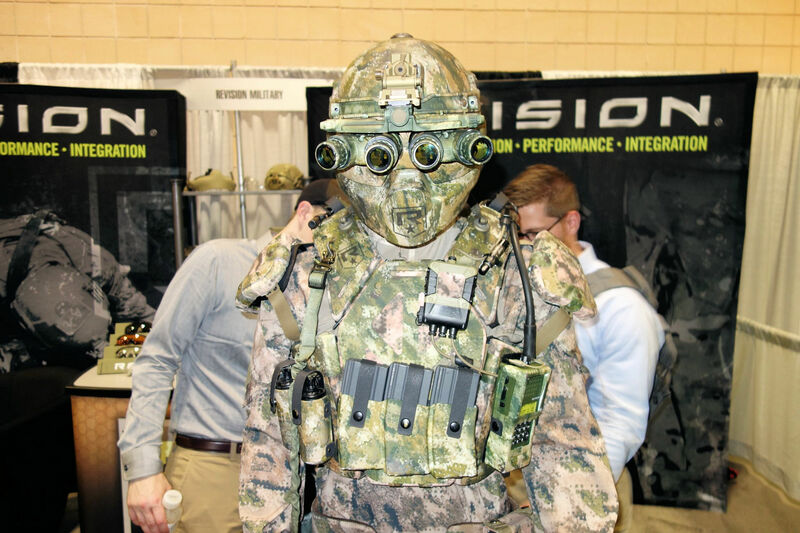 Only the future will tell whether or not Putin’s right to be so frightened of future super soldier and military robot tech, or if he just watches too many American movies. However, his thoughts on the matter should at least be noted and considered, since one must assume he’s privy to the latest and greates Russian military technologies (and perhaps ours as well, through cyber-espionage and HUMINT). Needless to say, Defense Review will be following any/all developments in this field. Previous: Williams Blade Design ‘Special Mission Project’ HZT 002 Hira Zukuri Tanto 6.5″ Fixed-Blade Combat Tanto Knife for Dynamic Close Quarters Battle/Close Quarters Combat (CQB/CQC) Edged Weapons Combatives and Military Special Ops! Next: DryWired Emotiv Insight 5-Channel/Sensor and Epoc+ 14-Channel/Sensor Lightweight Mobile Wireless EEG (Electroencephalogram) ‘Brainwear’ Headset Systems for High-Speed, Low-Drag Brain Wave Monitoring: Can They be Integrated with a Military Ballistic Combat Helmet?